As part of the celebrations of the Domesday Village, it was proposed by Denys Ryder that a mediaeval joust be staged in the valley below Butser Hill, part of the Queen Elizabeth National Park. This leaflet was produced to encourage sponsors to support the event, but enough money was not raised. 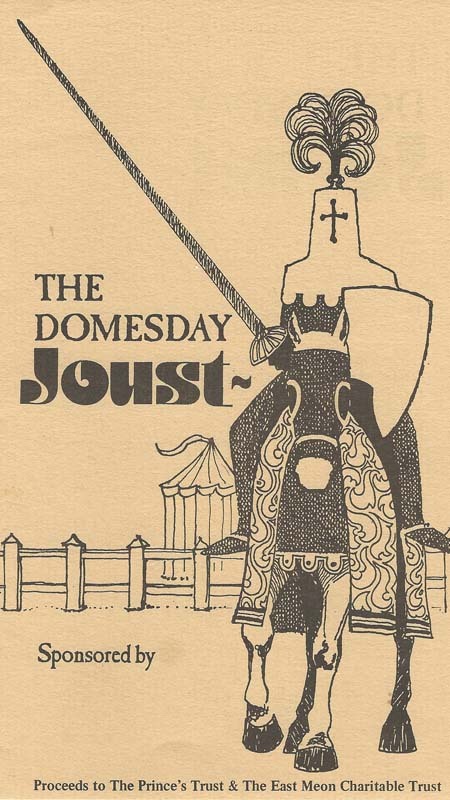 Leaflet produced to encourage sponsors to support the Domesday Joust.